Doing Educational Research in Rural SettingsÃÂ is a much-needed guide for educational researchers whose research interests are located outside metropolitan areas in places that are generically considered to be rural. This book is both timely and important as it takes up the key question of how to conduct educational research within and for rural communities. It explores the impact of educational research in such contexts in terms of the lasting good of research and also those being researched. The authorship is international, which brings together researchers experienced in conducting educational inquiry in rural places from across European, Australian, American, and Canadian contexts, allowing readers insight into national and regional challenges. It also draws on the research experiences and methodological challenges faced by senior figures in the field of rural educational research, as well as those in their early careers. 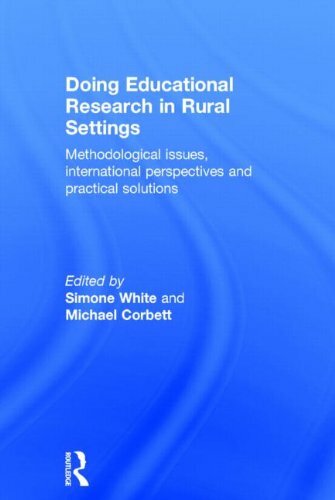 This book is uniquely written with an eye to practicality and applicability, and will be an engaging guide for higher degree and doctoral students seeking to gain a stronger understanding of educational research in rural settings.